How many tanks are in my house? How many fish tanks do i have in my house? I'm not including the ponds outside or the turtle pond inside, just aquariums that have fish in them. This is not a trick question, but I'm willing to bet the answer will shock most of you. I was actually asked this question by someone at work on Friday and they still don't believe my answer. Re: How many tanks are in my house? Think i will let this one percolate until tomorrow. I am with Gary. I think zero. What do we win?! My guess is zero. I'm betting the only tanks you have (not counting the one you are currently building) are to be found at work. Well seeing the usual suspects have chimed in I will let the cat out of the bag. I have a 55gal saltwater tank, hopefully to be replaced by a 210gal sometime this winter. So yes most of my fish are here at work. Seeing how everywhere you look around here there are fish tanks most people think I have the same at home. what do u do that you have several tanks at work? and how many are there at your workplace? I thought u had a bundle of them in your house...great big ones! guess I am misinformed! @goldfishbetalover wrote: what do u do that you have several tanks at work? and how many are there at your workplace? No not much room for fish tanks in my house. I do hope to add a couple of more at some point. 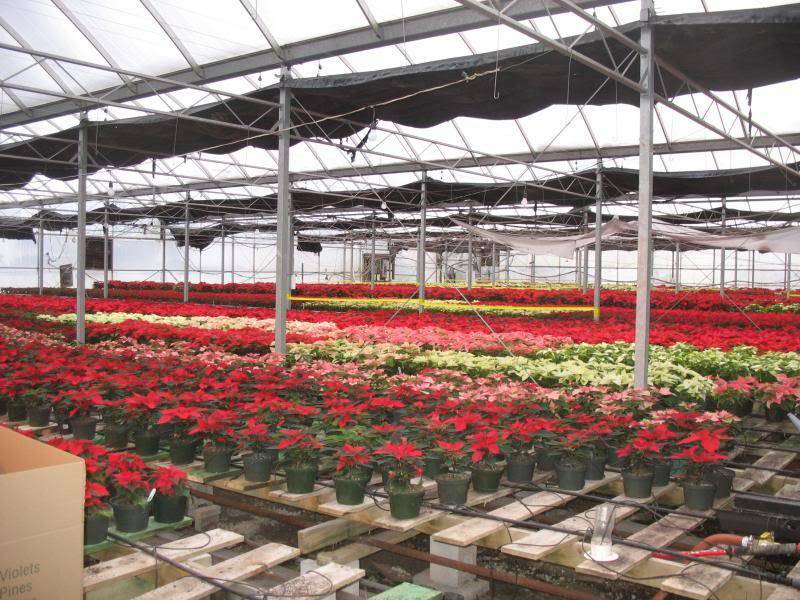 I am in the flower business, we supply Sobeys, Wal-Mart, CO-OP, Kent, etc right across the island. 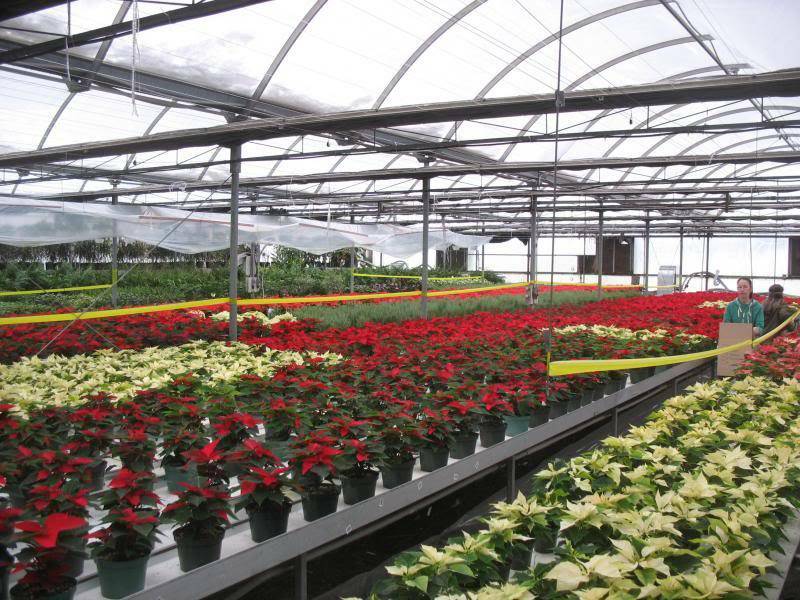 We do have about 90,000 sq ft of greenhouse space but over half our business is cut flowers. We don't grow them here but we import the flowers from all over the world and make the bouquets like you see in your local food stores. so all the goldfish at home are in ponds in the warmer seasons and in holding tanks in winter?! Yup, for the most part. They don't all go outside, but most do. maybe someday my family and I could come and visit you! Very nice that you can have tanks at work! How many are there? I would love to have an aquarium set up at my workplace. It would take a good amount of commitment and extra time on my end though, particularily where I'm not in the office everyday...so, for now, it is just a fun passing thought! I love to show off my fish, all visitors are welcome. @Shell wrote: Very nice that you can have tanks at work! How many are there? I would love to have an aquarium set up at my workplace. It would take a good amount of commitment and extra time on my end though, particularily where I'm not in the office everyday...so, for now, it is just a fun passing thought! Most of Saturday is pretty much fish day here. here at work i have 1-10gal, 2-40gal, 1-55gal, 1-275gal, 1-325gal and now the 1200gal. How many tanks, that are in Steve's intimate possession which are capable of holding aquatic life, such that anyone could view them, are owned by Steve Benson and his associated organisations ? I am in awe of you and your fish!!!! !